Want to know how to obtain the legendary Aeon animal or easily defeat Seymour Omnis? We've got the answers here plus plenty of others like trial treasures and defeating Lady Yunalesca. A huge collection of hints and tips including getting the Calabolg, defeating Penance and black magic. We have 1158 questions and 2589 answers for Final Fantasy X. Check them out to find answers or ask your own to get the exact game help you need. 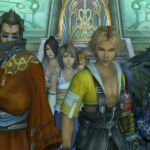 How do I use action replay codes for final fantasy x? Are their any fiends to fight after getting into the airship ? What is the easiest way to gain yojimbo as one of your aeons? We have 39 Walkthroughs for Final Fantasy X. A selection of walkthroughs and FAQs including ones for celestial weapons, Speed Run and items. There's also a FAQ detailing the FFX international changes. 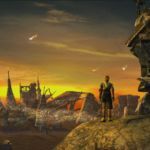 51What is your best bit in Final Fantasy X? All I have to say about this game is simply "Wow". It has the most in depth story of the.. Final Fantasy X is the first Final Fantasy game for the Playstation 2. The story starts out in a c..
Gameplay is a 7.5/10 Like many Final fantasy's this one also has the turn based system and altho.. 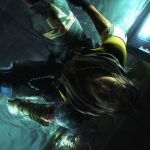 Final Fantasy 10 (or Final Fantasy x) is one of my personal favorites out of the Final Fantasy ser.. This has got to be the best game on the PlayStation 2!!! Grap.. This game is one of the best in my collection. Graphics:10/10 the first time I saw that first m..
Can someone post a full list of the ..
were do you get fortune spheres?